Today I'm gonna swatch and review my latest shopping. 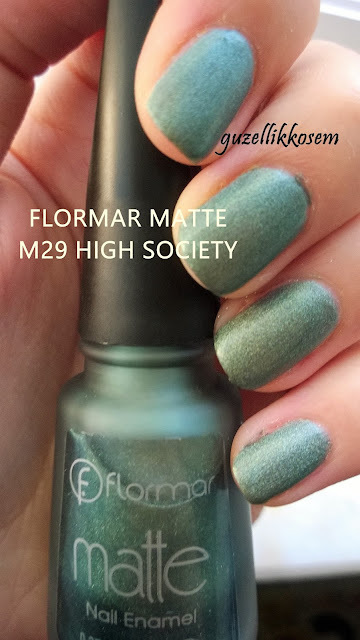 NAIL POLISHOPPING 3 (FLORMAR HAUL). 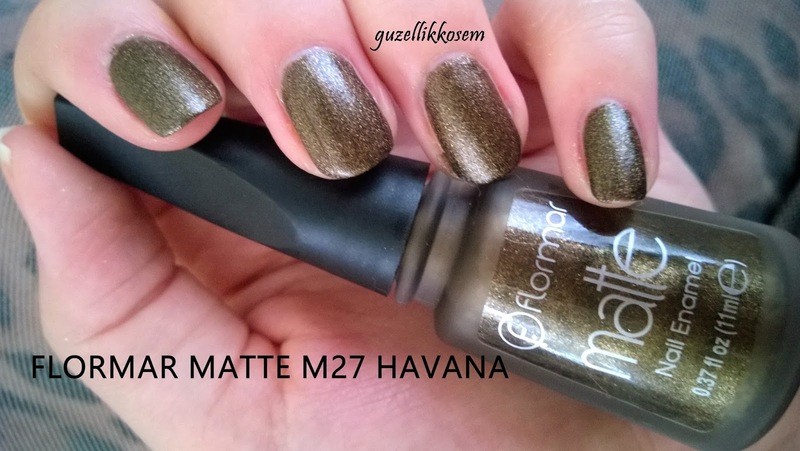 This nail polish is matte but glitters in it. 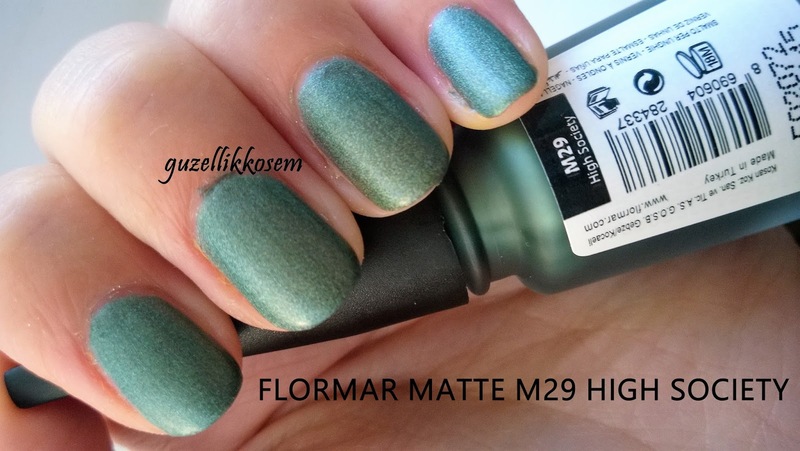 This color was in old Satin Matte line, they put this color in Matte line. Its color is khaki. Therefore, it contains green and brown. In all of the Havana photos, it is 2 coats. If you apply a top coat on it, you can have glitter nail polish as well. 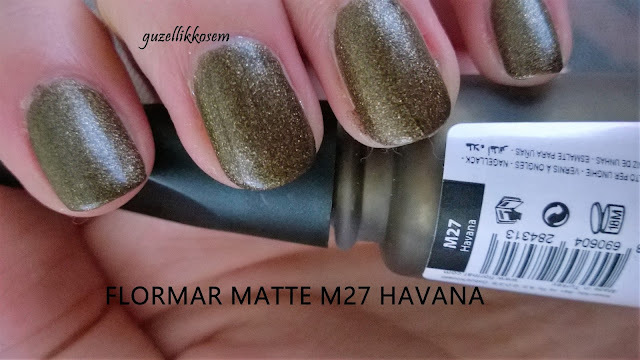 It is a bit hard to remove this polish as it has glitters. 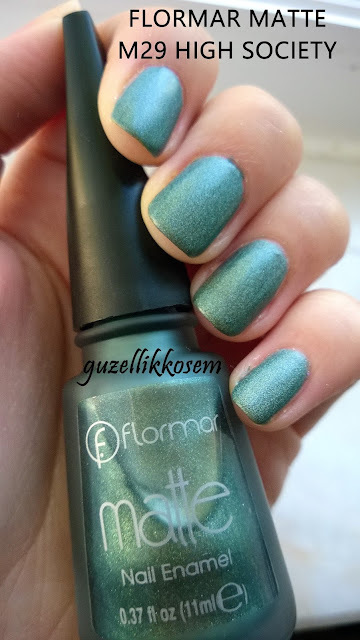 This is a very different dark green. It looks it's a bit holographic. But is a thin nail polish. 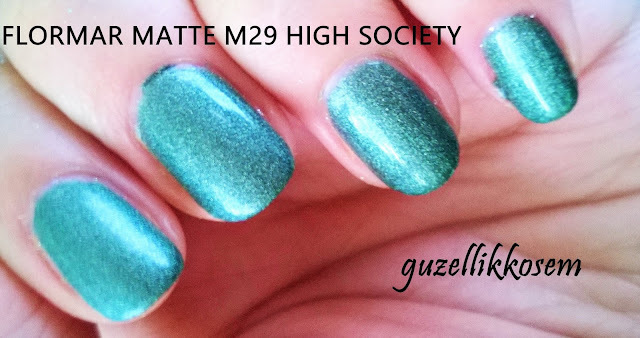 I applied 3 coats and got the full look. 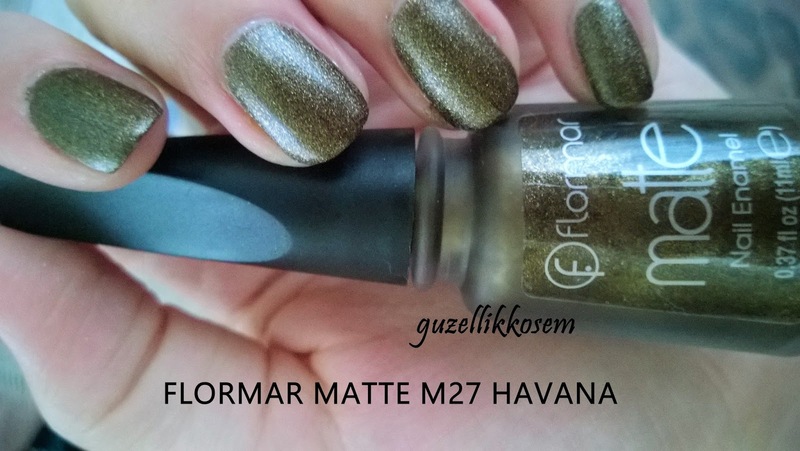 Do you know any different color from Flormar Matte Collection? They are good in lasting and low-priced. I recommend these colors.